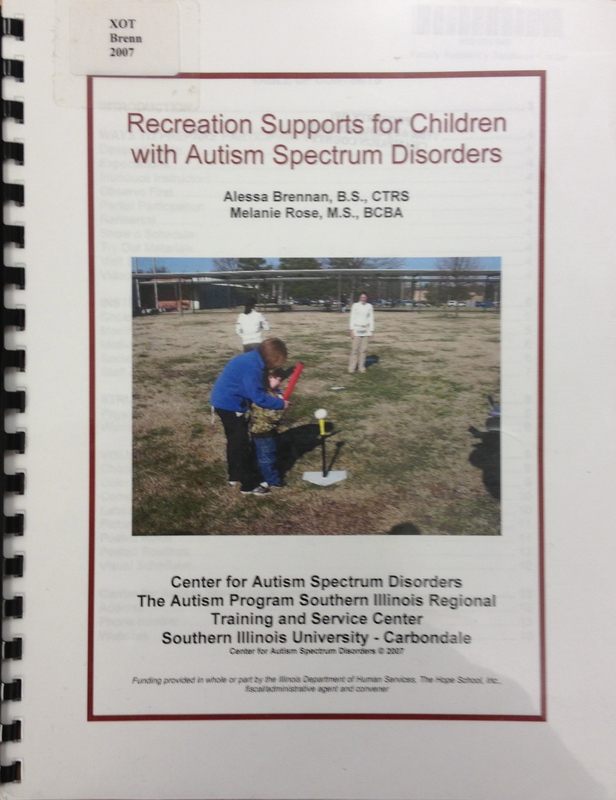 Recreation Supports for Children with Autism Spectrum Disorders by Alessa Brennan and Melanie Rose. This manual is designed to outline supports to use in a recreation setting that may increase the likelihood of successful participation. It shows how to prepare a child for a new activity and how to modify an activity and add structure. Pp. 13. This entry was posted in Other/Miscellaneous, Our Library and tagged Autism Spectrum Disorder, booklet, books, social skill. Bookmark the permalink.